Home / Poster Designs / Sixties – Jiří Balcar. The Story of Film Posters. 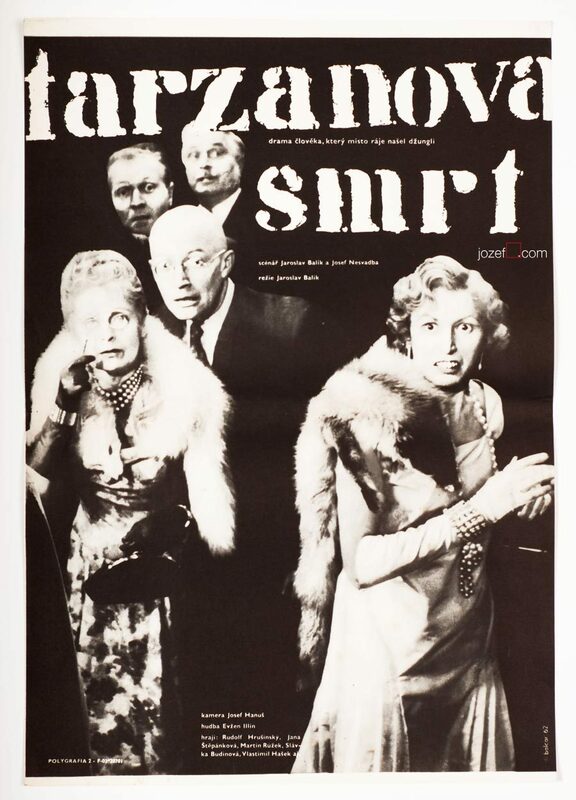 Poster Designs / Sixties – Jiří Balcar. The Story of Film Posters. The Death of Tarzan movie poster by Jiří Balcar, 1962. 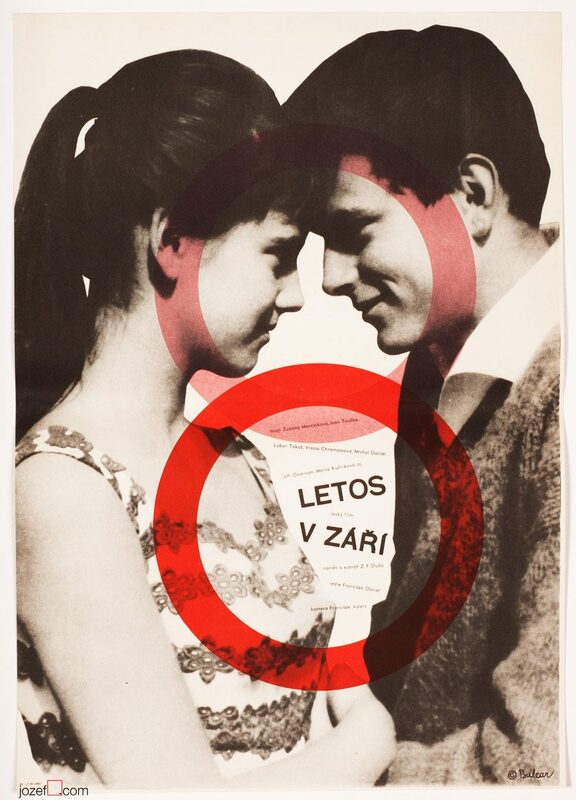 This Year in September movie poster by Jiří Balcar, 1963. Czech artist Jiří Balcar could easily belong to one of the most fascinating poster designers of the Sixties. It’s hard to judge by the small number of his posters in our collection, but his artwork as we are finding out, spreads all across the globe (short list bellow). Internationally started off at Farleigh Dickinson University in Madison (New Jersey) where he took part in International Invitational Seminar of Art, followed by exhibition in New York in 19643 , Berlin (1965-66) and Wien (1966). Paris exhibition in Musée d’Art Moderne (1969) was held soon after his early death in 1968. A wide spectrum of his artistic experiments are brought in from the painting and are reflected in his poster designs. Extensive use of letter templates, sometimes broken into separate parts, wise and bright selection of colours (unless Monochromatic, or sensible mix of both), unconventional use of photography and perfect understanding of space. His faceless figures, motif reappearing on several of his paintings, could become alive only on the film poster. 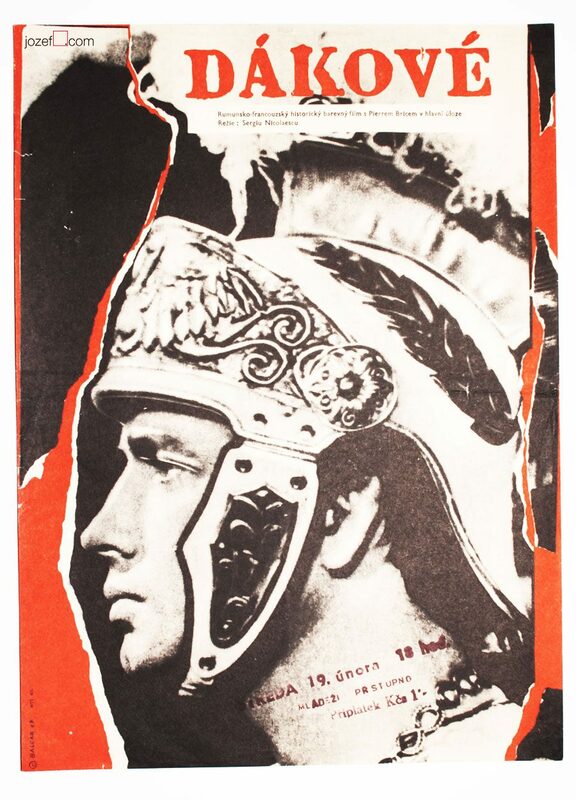 The Dacians movie poster by Jiří Balcar, 1967. Jiří Balcar was the member of several art groups. His artwork takes place in collections of museums and galleries worldwide. We have picked little selection with direct links. Sixties film posters available in our shop. ← Poster Designs / Sixties – Rudolf Altrichter. The Story of Film Posters.